If you are considering a new home extension keep an eye on next month. The key issue is – will permitted development be extended beyond this current year. Will the same planning permissions we have enjoyed for a while continue. Reports the Extension Architecture Blog “In more recent years, the more relaxed Permitted Development Rights enacted since 2015, have allowed families to have up to 75% more extension space without Full Planning permission, allowing twice the usual space allowed for single-storey rear extensions. So, the clock is ticking on this whole issue because on May 30th the Government’s relaxed view about PD Rules will again be reviewed (and possibly revised). There is an argument to say the rules regarding domestic extensions may likely continue after May 2019, but there is it seems no guarantee. 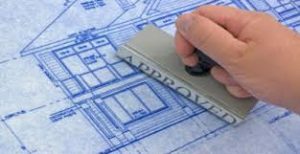 Extension Architecture reports there could be additional changes and restrictions to observe again for residential planning applications. The reason for this, they explain, is that the trends of our rising population vs our housing stock issues have continued unchecked, especially in the capital. However, there is also the continued shortage of new sites and plots in congested areas, so it is not advisable to wait suggest the Extension Architecture experts. Planning applications remember can take the best part of 3 months to process, so the advice is take advantage of these guidelines while you can. You should be able to extend your home twice the previous maximum of 3-4m (terraced/end terrace/detached. Single storey side or rear extensions; Loft conversions; Front porches; Double storey extensions; Outbuildings; Solar panels; Skylights or dormer windows ;New windows or doors . Adds the Extension Architecture experts finally, “PD Rules are a good thing because you may not need to do a full planning application. Currently your extend-able space is greater than before 2008. Applications under PD still have to go to the council, although the requirements are less stringent than with full planning. Mint can help you get the affordable extension you want most for your home and we can help with that planning advice too . We’ll help with any questions or concerns you have. More choose a home extension instead of moving house More home extension and design plans for your extra space!